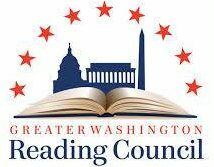 The Greater Washington Reading Council sets its mission as promoting literacy and literacy education in this Northern Virginia region. A local affiliate of the Virginia State Reading Association, the Greater Washington Reading Council members are committed to supporting teachers, administrators, and the general public in the best practices of literacy instruction, pre-K to college and beyond. Through professional conferences, an online newsletter, an evolving website, and a members-only journal, the Greater Washington Reading Council works to support the goals of the Virginia State Reading Association and the International Literacy Association. Through these professional opportunities and continuing education events we, the members and literacy leaders in our region, assist the children of Northern Virginia in reaching the literacy standards set by the Commonwealth and the robust literacy objectives of the 21st century. Click Here To Join GWRC! GWRC invites you to participate in a regional conversation about students and reading motivation. Members are free and guests are asked for a nominal donation, suggested $5.00. Written by Barbara A. Marinak, Linda Gambrell, Edited by Ellin Oliver Keene and Nell K. Duke. GRWC Rara Academic by Rara Theme. Powered by WordPress.